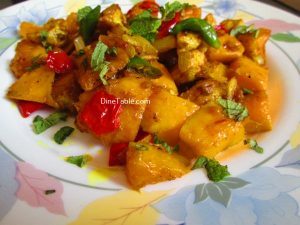 Mango Chicken is a simple and delicious chicken curry and it is easy to make. 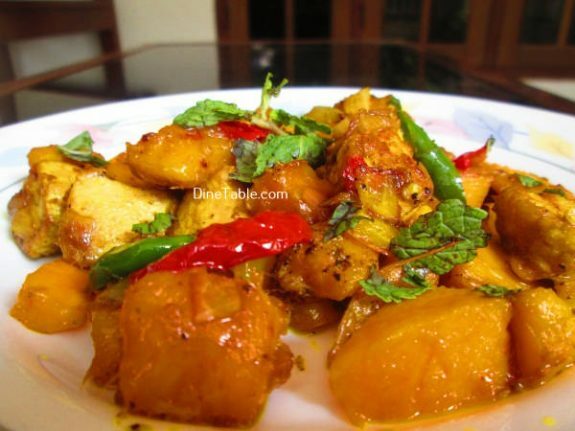 It is a variety chicken curry prepared using ripe mangoes. 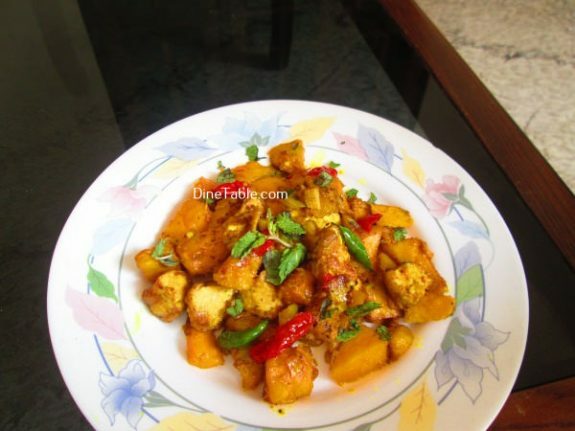 Tryout this tasty dish at home. The benefits of eating chicken include its good supply of protein content, the supply of essential vitamins and minerals, cholesterol control, blood pressure control and a reduced risk of Cancer. Clean and cut chicken into medium size pieces. 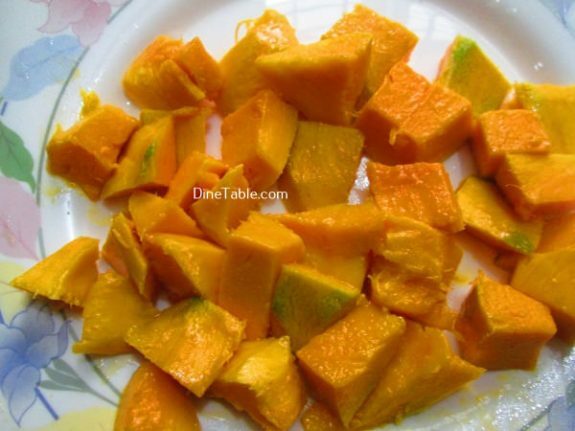 Clean and cut the mango into cubes. 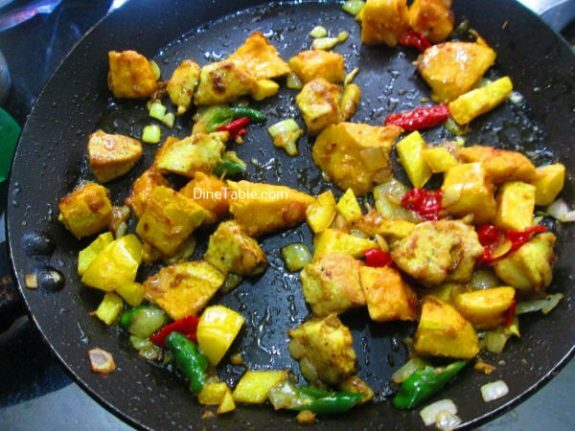 Heat vegetable oil in a pan and add chopped onion, chillies, ginger-garlic paste and saute it for about 3 minutes. 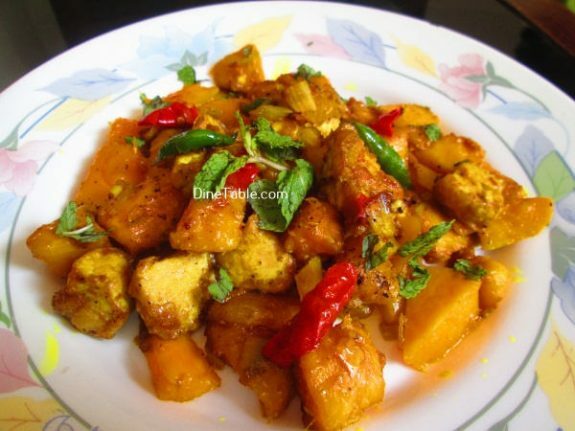 Add turmeric powder, cumin powder, coriander powder, red chilly powder, pepper powder, red bell pepper into it and saute for 2 minutes on a low flame. 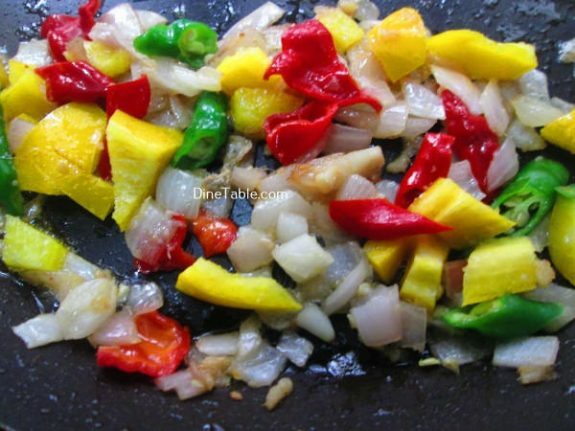 Add chicken pieces and salt into it and stir fry till chicken is cooked through. When the chicken is cooked, add chicken stock and mango pieces into it. Allow it to boil and cover and cook for 10 minutes on a low flame. Take it from fire when the gravy becomes thick. 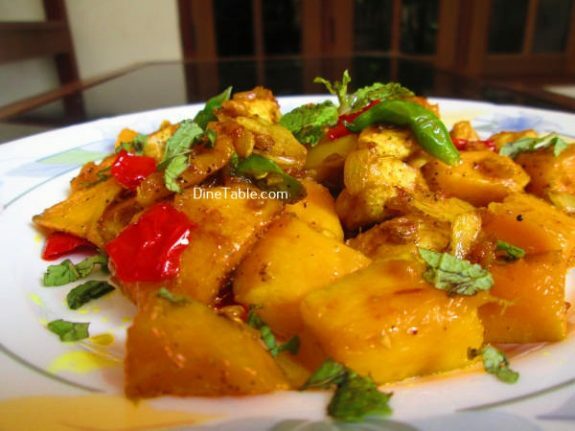 Tasty Mango Chicken is ready.